Subscribe to our mailing list for newsletters, sales, and updates to your email inbox. Every day we are warned about the dangers to our health of outdoor pollutants; however, the quality of our indoor air is even more important. Current research indicates that people spend as much as 90% of their time indoors, especially during cold winter months. This means that most of the air we breathe is indoor air, which is often laden with pollutants like dust, smoke, and mold. Even furniture and cleaning supplies can release harmful particles into the air. These pollutants, left unchecked, can severely damage one’s health and quality of life. Fortunately, there are measures a homeowner can take to reduce home air contaminants. One of the most effective ways to clean the air is with indoor air quality control systems. The benefits of using these systems are numerous. Most importantly, they will improve your health by reducing your exposure to damaging contaminants and increasing your comfort level in the home. This is especially important for homes with children or the elderly, as these individuals are more susceptible to air pollution. In addition, allergy sufferers will greatly benefit by the reduction of dust, animal dander, mold, and pollen from the outdoors. 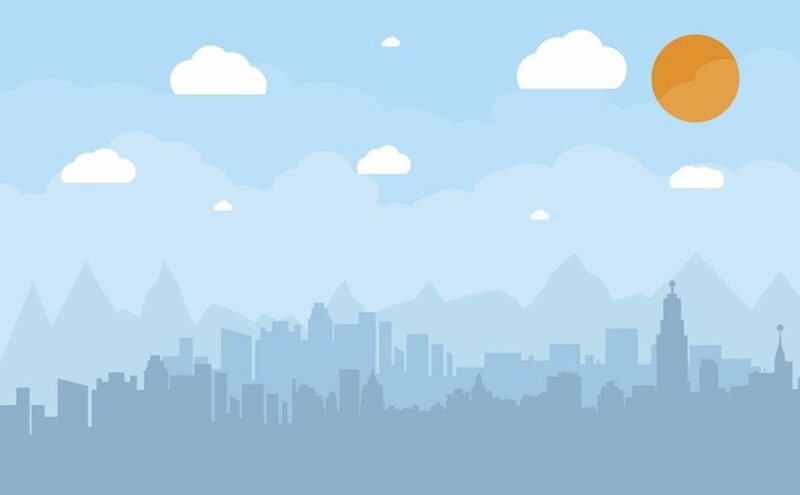 Those with respiratory problems and asthma may also notice a significant change for the better when using indoor air quality control systems. (UV) Lights, which prevent the growth of bacteria, mold, and fungus. Combining all of these technologies can reduce up to 99% of harmful pollutants in your indoor air, making your home safer and healthier for you and your family. When consumers are looking to purchase a new air conditioner, they should consider a few different factors in the decision making process. One factor that should play a major role in the purchase of an air conditioner is the energy efficiency of the unit. The energy efficiency of the air conditioner is an important deciding factor because this will determine the cost of operating the equipment during the summer months. The province’s long-term energy plan in 2013 projected a 42-per-cent jump in home power bills by 2018, climbing to 68 per cent by 2032. In part because the province cancelled plans to build new nuclear plants. 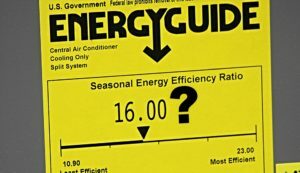 The most common measure used to demonstrate the overall efficiency of an air conditioner is the Seasonal Energy Efficiency Ratio, which is commonly known as the SEER rating. With this system the unit is tested for the BTU output and that is weighed against the operational electricity across a range of temperatures. Depending on how many BTU are produced per kilowatt hour of electricity across the range of tests, the air conditioner will be assigned a numeric SEER rating. With a SEER rating, a higher number represents better energy efficiency. Units that are sold in the Ontario must have a SEER rating of at least 13, but some models have a rating that goes all the way up to 22. Does the SEER rating matter? The SEER rating of an air conditioner should be an important consideration for any consumer. An air conditioner that has a SEER rating that is a few points higher than the next can save the owner a few thousand dollars over the life of the unit. This rating should be a key purchasing factor for any consumer and it should carry even more weight for individuals that live in a warmer climate. In warmer climates, the cooling season will be longer, which means a higher SEER rated air conditioner can save a significant amount of money per year. One of the most significant parts of the air conditioner is the condenser coil. The condenser plays a vital role in the cooling process by condensing the refrigerant and removing heat from the air. Through regular operation, this coil will collect dirt and grime that, over the long run, will diminish the unit’s ability to perform its job. One of the ways in which a dirty condenser coil will affect an air conditioner is to reduce the overall efficiency of the unit. With a condenser coil that is dirty or blocked, the compressor will have to work harder to achieve the same results. The overall power draw will increase due to higher refrigerant pressures which will result in higher utility bills. The problems that result from a dirty condenser coil also impact the operating life of the unit. 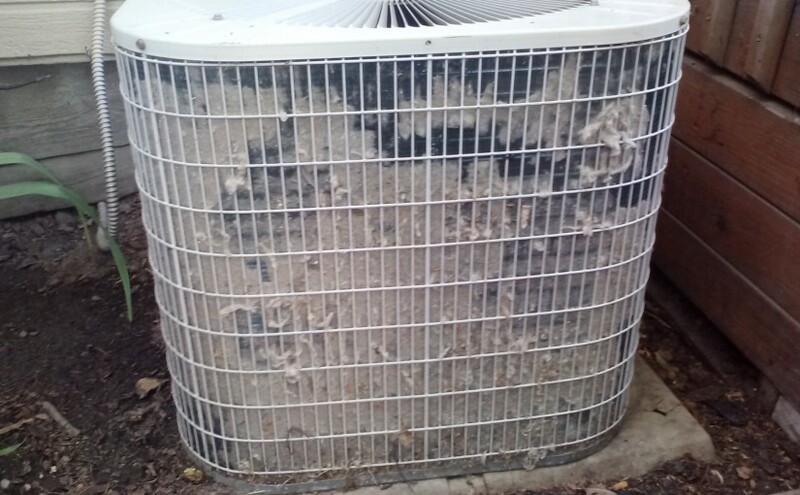 A dirty condenser coil forces the unit to work harder, which leads to more wear and tear on the system. If the problem of a dirty condenser coil is addressed right away, this might not have a huge impact, but if the system is continually put under this additional stress it will eventually impact the overall functionality and lifespan of the air conditioner. Some steps can be taken by the average person to clean the condenser coil for example, cutting back any bushes or shrubs near the unit and cleaning up any loose leaves or debris near the base of the condenser. But to get best results the condenser should be cleaned by a service technician. Our technicians use a special condenser cleaning agent and not only clean the exterior but also remove the fan so the interior of the unit can be cleaned. We will also check to make sure that all of the parts are in good condition and functioning properly. Getting an annual inspection and cleaning will ensure the efficient operation of the unit and it will help to guarantee that the unit has a long operating life. While air filtration can trap mold spores, you can eliminate a mold population in the home by using ultraviolet (UV) lights inside the ductwork or the air handler. 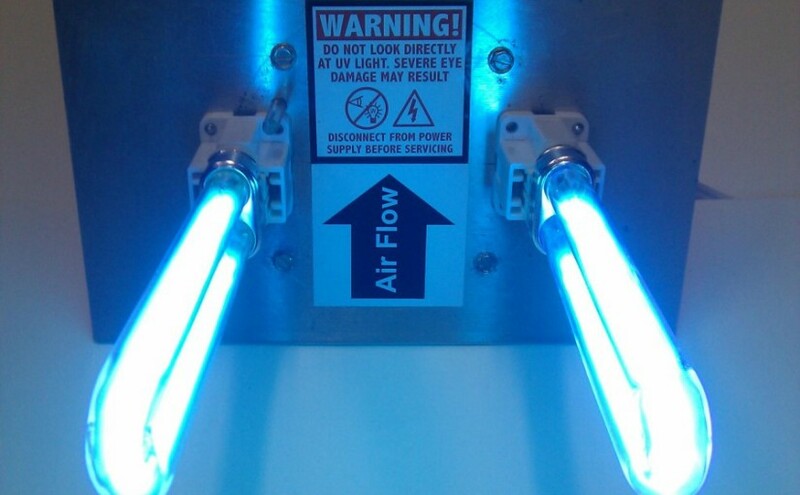 UV lights modify that DNA of the mold spores so that they can’t reproduce. UV lights are damaging to eyesight but when placed inside the equipment, there’s no risk to health. These lights also kill other organic particulates in the home’s air, like bacteria and viruses that can grow in the A/C coil drain pan. The most common allergens in homes include dust, pet dander and mold. 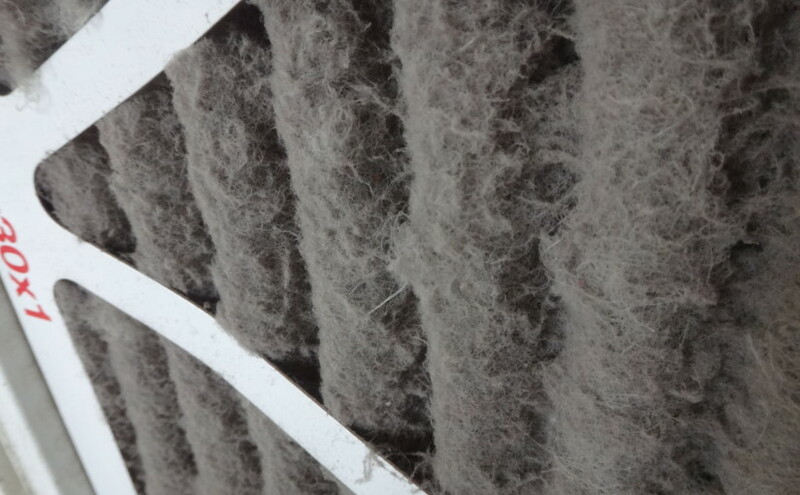 Upgrading your HVAC filter will help eliminate allergens and improve indoor air quality. Those fiberglass filters found in retail stores trap only the largest airborne particulates and offer little help when you’re trying to eliminate allergens or improve indoor air quality. The pleated filters will do a much better job of removing larger offending particles. Filters carry MERV (minimum efficiency reporting value) ratings that can guide you when selecting the best one for your system.